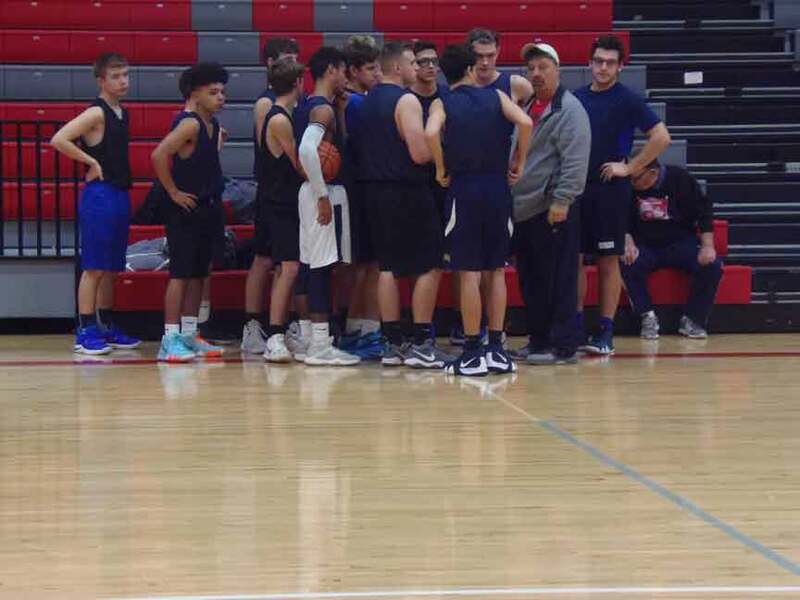 SAYBROOK – Curtis Turner returns for his third season as the head coach of the St. John Heralds boys’ basketball team. It is his 13th season with the program as a whole. The Heralds finished 10-11 a year ago and have some key players back. Returning for St. John are: Jake Artman, Jon Timonere, Jon Chambers, Dave Fuentes, Ryan Bento and David DiSalvatore. Other players who will see time this year are: Donte Jackson, Johnny Castrilla, Dylan Carpenter, Stan Miller and Caleb Hill. The Heralds are working on their intensity and are stressing overall effort. Another big thing the team is working on right now is remembering the plays. “The guys know they need to come to work and grind every day,” Turner said. The Heralds will start the season on Dec. 4th against Conneaut. Pictured: The St. John Heralds boys’ basketball team gets ready for a scrimmage against Geneva.